One of our friends with a base in Tuscany recently asked me to buy him some Favorita from Claudio Rapalino one of our neighbours. It is closely related to the Tuscan Vermentino and Claudio makes one of the best that regularly features on our shopping list. Unfortunately we are not alone and an importer had scooped up his remaining stock just a couple of days previously. It presented an ideal opportunity to venture across the Tanaro into the Roero which in the absence of Barbaresco and Barolo to focus on produces excellent white wine, not to mention Barbera and the very occasional stunning Nebbiolo. 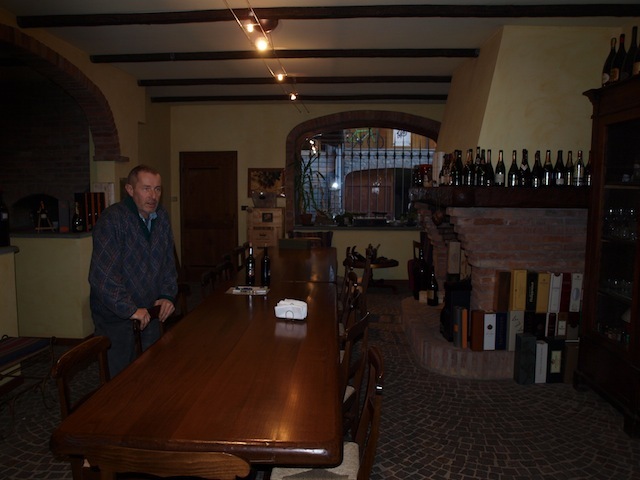 A quick call to Antonio Deltetto and we had located a good alternative and an excuse to taste the rest of his stunning wines. Roero Arneis S.Michele 2011. Fantastic Arneis from their oldest vines (35 years). This will definitely improve with age. I usually rush to drink Arneis within year or 2 of harvest but look forward to how these develop. The secret to their whites is cooling the grapes overnight and only crushing them when cool. Followed by slow, low temperature fermentation to preserve their intense perfume. All under €10 ex cantina. Sumante Extra Brut Riserva ’08 is still young and will last for years. 70% Pinot Noir /30% Chardonnay fermented in used french Barriques (breathes better). Yeasty and lightly fizzy. It would certainly be a struggle to pick this out from quality vintage champagnes in a blind tasting and Antonio mentioned that it had recently been voted top on just such an occasion. Spumante Rosé is prettily coloured after a maceration of just 8 hours with 50% Pinot Noir and 50% Nebbiolo that makes it so Piemontese! With growing conditions in Champagne in 2012 being awful it’s time to check out flights to Milano, Torino and Genova and stock up here. May’s a good time with Barbaresco a Tavola most Fridays. All the reds are good and I regularly choose his Barbera d’Alba at our local pizzeria Il Camino, when it’s not sold out! However, the stand out wine for me is the Roero Riserva “Braja” ’08 which proves there is quality Nebbiolo outside the zone. 2 years in barrique, 1 year in stainless steel and a classic. I bought the ’08 last time and now I have the 2009. 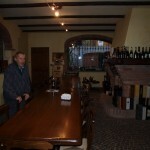 Incidently both years awarded 3 bicchiere in Gambero Rosso.